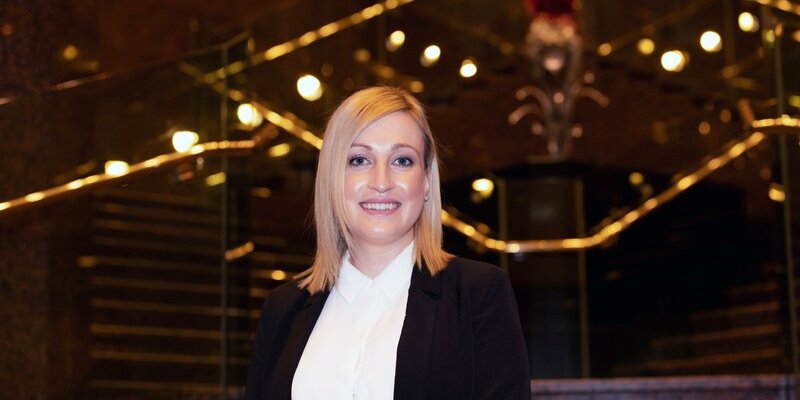 After a flourishing 10 years at InterContinental Adelaide, Christine Rentis found her niche as Director of Sales, having gained a suite of skills and experiences in diverse roles within the hotel. A career strategy to experience the hotel from the ground up has paid off for this talented young woman on the path to becoming General Manager. Christine first heard about Le Cordon Bleu in Year 12 at Immanuel College. Event management stood out as a career option, and she felt that a Le Cordon Bleu business degree ticked all the boxes. After winning a $30k scholarship toward a Bachelor of Business (International Hotel Management) at Le Cordon Bleu Adelaide, Christine started living her hospitality dream. The Le Cordon Bleu business degree is industry-specific which is why I chose it, after looking at the subjects my parents felt the practicality of the subjects would really benefit my future career. Supervisors in the InterContinental Hotel are encouraged to work in all the departments, giving Christine the opportunity to experience the restaurant, front office, and guest reservations before her definitive move into sales. Having fulfilled her career strategy to learn all the functions of the hotel, Christine is thrilled with her promotion to Director of Sales, and is one step closer to General Manager. With her close Greek family living in Adelaide, Christine has no desire to move interstate, predicting that huge industry growth is on the way, with a number of prestigious hotels expanding into the Adelaide CBD. Grateful for a supportive workplace at InterContinental Adelaide, Christine would love to see more females in hotel management. The challenge of being a young woman in leadership has taught her invaluable skills such as how to interact with older executives and hold her own in a meeting. There is no doubt that this talented young woman will continue to stand out in industry as a Le Cordon Bleu alumna committed to excellence. Le Cordon Bleu helps you mature and grow into a fully rounded individual, ready to take your place in the hospitality industry where every day is different.